We offer pretty much every diving experience and course you can imagine, from Beginner Open Water Diver to IDC Staff Instructor. We are the only diving center on Slovenian coast that has a boat therefore we can make your diving experience even better! Whatever you are looking for, whatever your experience level is, we will be able to help. We aim to please every individual. You can apply for wished course throughout the whole year. If you already have a license and all you want to do is just dive and enjoy, we are here. 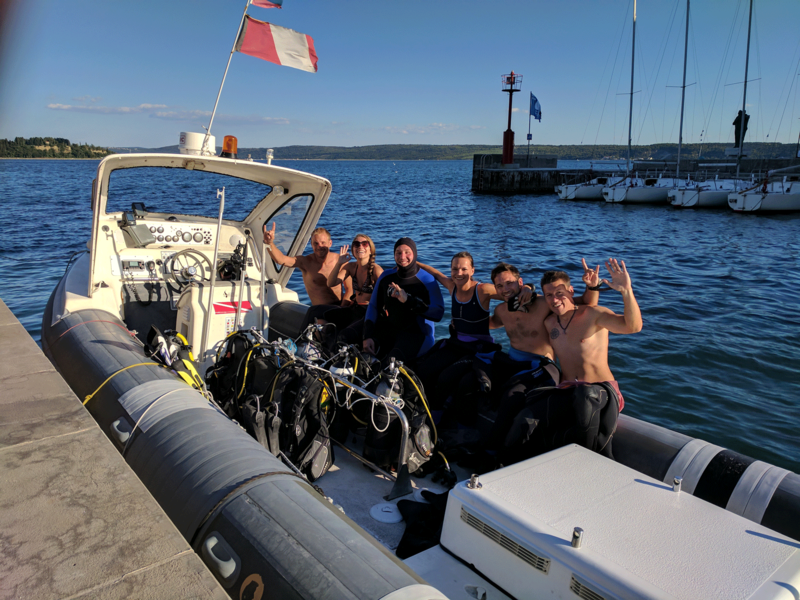 DIVESTRONG diving center was established by experienced instructors 5 years ago and is now one of the most active diving centers on Slovenian coast. We aim to provide excellent service to you and we will make sure your trip will be relaxing, fun packed and as great value for money as you would wish.